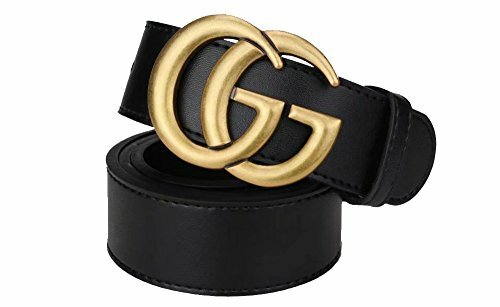 Fashion Black Instagram hot Leather Belt (Old Gold, 100CM 28-30) by GG at Zorro Store. Hurry! Limited time offer. Offer valid only while supplies last.